There’s nothing quite like a beach getaway that allows us to reset. Spending time lounging on the beautiful sand reading a great book if one of our favorite ways to spend a few ways. 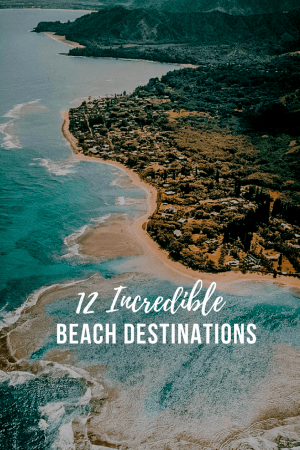 Regardless of what time of the year it is, these beautiful beach destinations have something to offer. 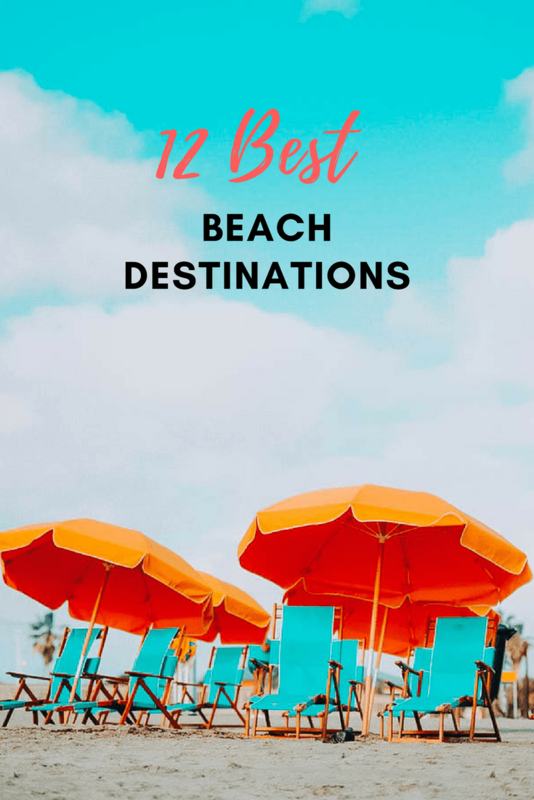 We’ve put together our favorite 12 best beach holiday destinations for this year to help you escape the long, cold, winter months especially if you’re looking to plan a beach getaway. So there is no time like the present to plan your tropical getaway. While some beach destinations aren’t worth the hype, these 12 certainly make the cut! Check them out! Maui. This gorgeous island is just perfect for the majority of Hawaii vacationers because it offers so much history and culture just like Big Island, Oahu, and Kauai. 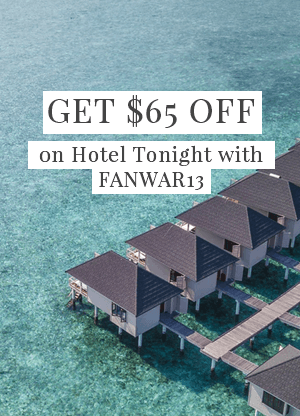 Stay at one of the many luxurious resorts, golf along the coast, or simply lounge oceanside and enjoy some of Hawaii’s most beautiful beaches. San Juan, PR. This perfect island getaway is considered one of the most affordable beach destinations this year. From its vast pristine beaches to its bustling nightlife, here you will find a mixture of both calm waters for the whole family to enjoy. The resorts are top-notch with service to match. Costa Rica. Anywhere you decide to “land” in Costa Rica, you will not be disappointed. 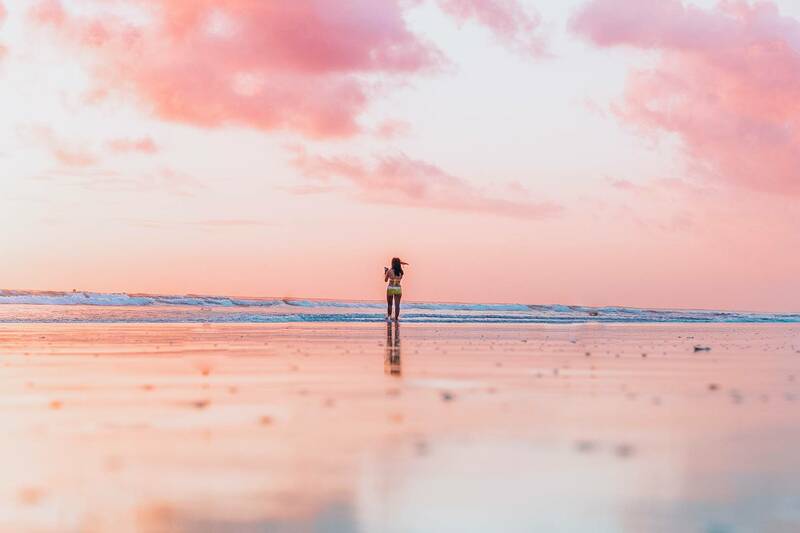 Both the Atlantic and Pacific coasts offer magnificent resorts and all-inclusive deals, so pick the one that best suits your needs and head to the “Rich Coast” and explore this small Latin American country. The laid-back attitude of its residents will have you relaxed and refreshed in no time. Miami Beach. 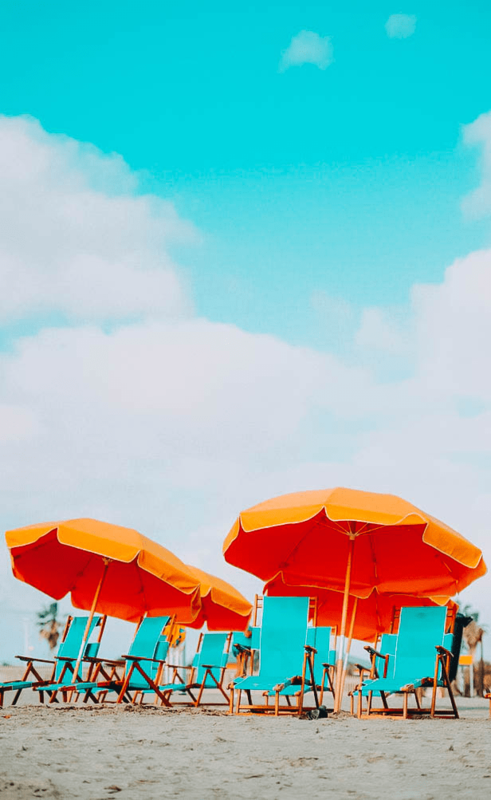 Between the stunning beaches of North Miami where it’s more family-friendly to the hot beaches of the South Beach area, you can’t go wrong heading to Miami. The food scene along South Beach is incredible and the hotels are 3 and 4 star, so pick a good one. Known as “America’s Riviera” Miami Beach is an affordable destination from just about anywhere in the U.S. Horseshoe Bay, Bermuda. Since Horseshoe Bay is one of the most popular beaches in Bermuda, you may not know that it also has the perfect cove where the waters are warm and the beach is pristine. 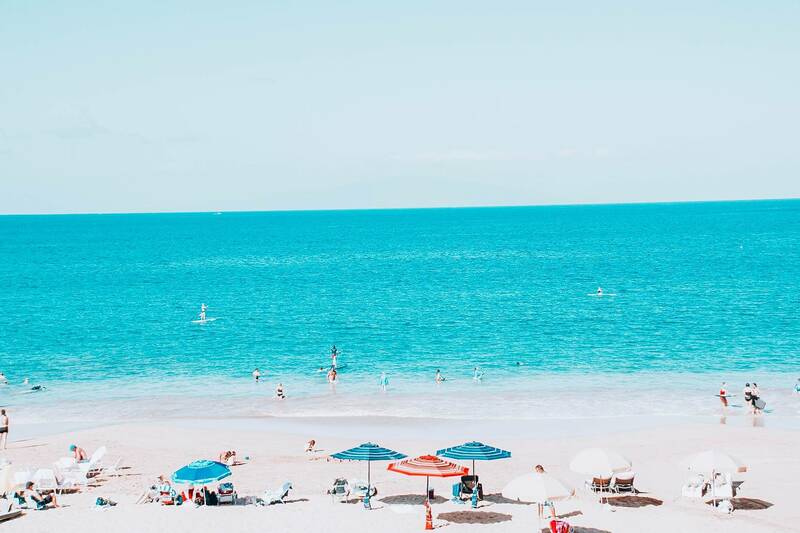 There are several amazing resorts that have everything you need for an amazing getaway, and definately one of the best beach holiday destinations. Harbour Island, Bahamas. This island is located off the northeast coast of Eleuthera Island. It’s pink, sand beaches are far away from the business of some of the other Bahamian beaches. After a day in the sun, make your way to Dunmore Street to feast on the catch of the day and don’t forget to stick around for the fabulous sunset. Lindquist Beach, St. Thomas. The white-sand beaches and calm waters make Lindquist Beach on the island of St. Thomas an attractive destination for couples and families. It’s part of a protected area up on the weekends when the locals like to throw small parties. Treasure Beach, Jamaica. This six-mile-long beach is not only charming but a spectacular place for snorkeling and swimming. The 4 coves that are open to the public are the best places to spend your days. The local community is not as touristy as other parts of Jamaica so you will have the chance to enjoy the culture that much better. If you wish to add extra stops to your Treasure Beach trip, this excellent Jamaica travel guide will tell you where to stay. Palm Beach, Aruba. The fun activities of this two-mile-long beach area is enough to make sure you have tons to do on your next vacation. Palm Beach sits on the northwest side of the island where during the day you can parasailing or snorkel. Then at night, you can hit the many restaurants for a great meal and then dance at one of the nightclubs all night long if you choose. Grace Bay, Turks and Caicos. Known as the number two beach in the world, everyone will want to visit in 2018 if they haven’t already. A great honeymoon destination, Grace Bay offers glamourous accommodations and striking clear blue water. Some of the superb beaches are untouched so you could be the first. Siesta Beach, FL. Every year this beach hits the top of the list as one of the world’s best beaches. It’s made of the softest sand your toes will ever dig into because it is over 90% crushed quartz. Hidden Beach, Mexico. Playa del Amor or “Hidden Beach,” has got to be one of the most secret beaches in the world. You have to swim through a tunnel to get to it and when you arrive you find beautiful clear water which is great for snorkeling and white sand to lounge on all day long. 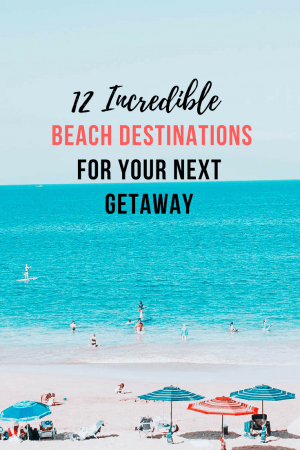 So whether you are planning a romantic getaway, a family vacation, or simply a spur of the moment trip, there is a beach out there that is perfect for you.